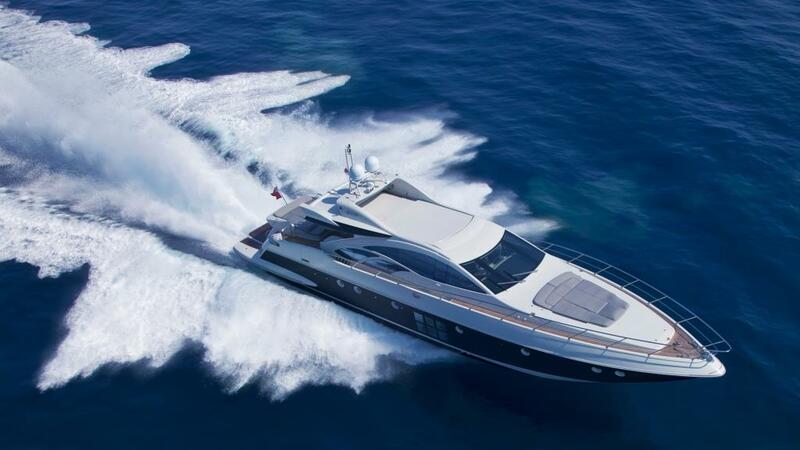 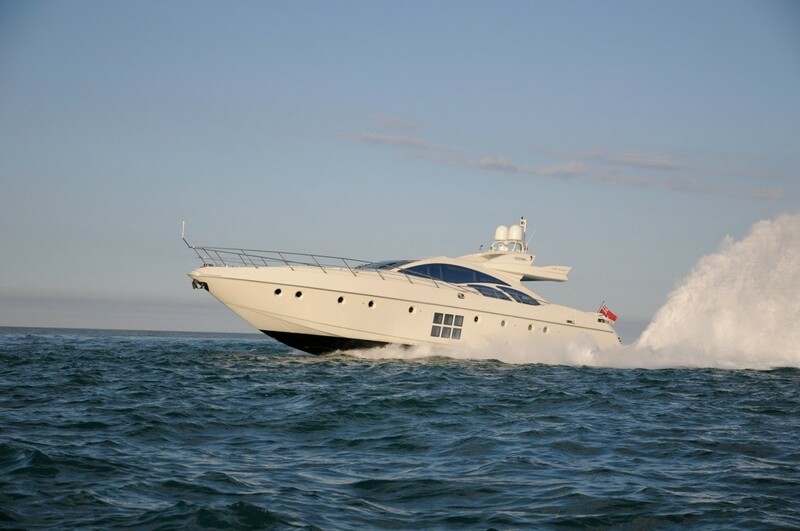 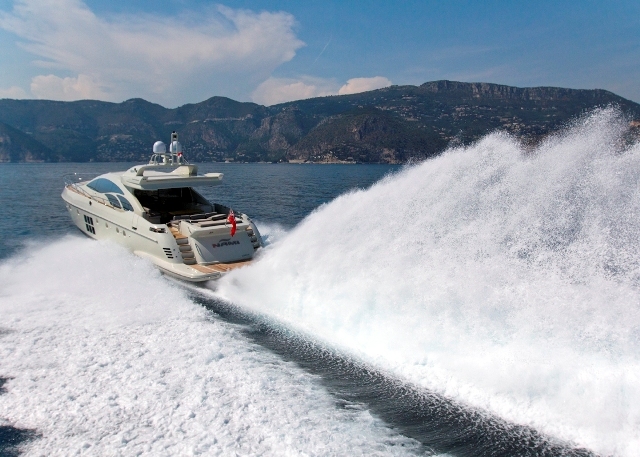 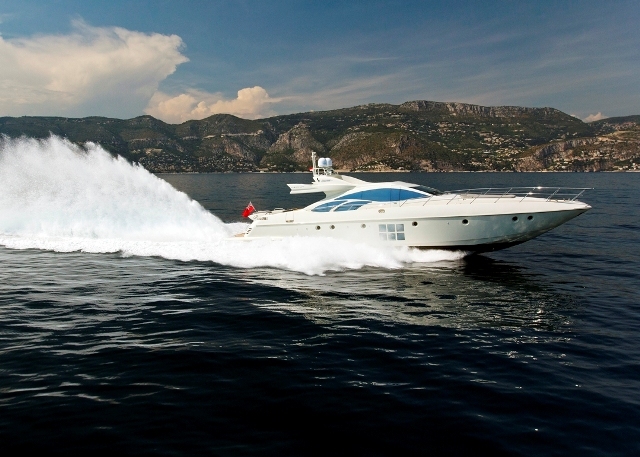 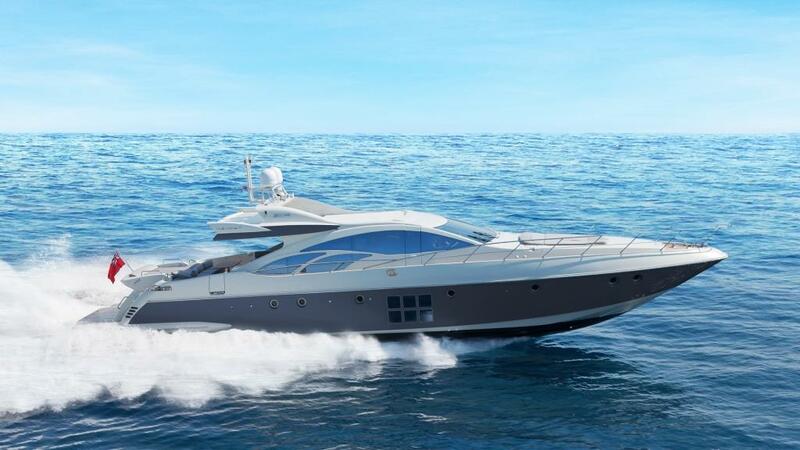 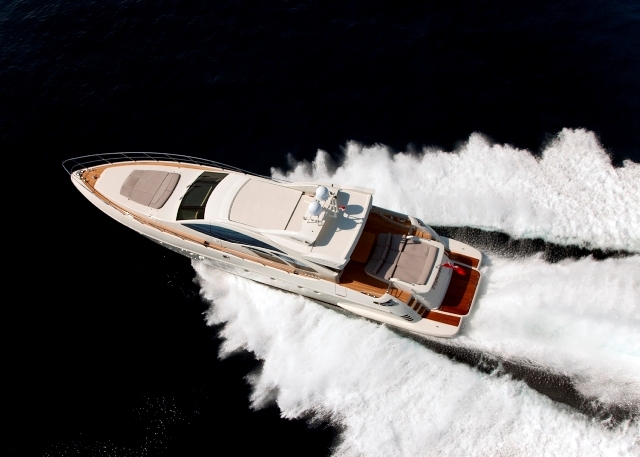 The Italian shipyard Azimut launched the performance motor yacht NAMI in 2007. 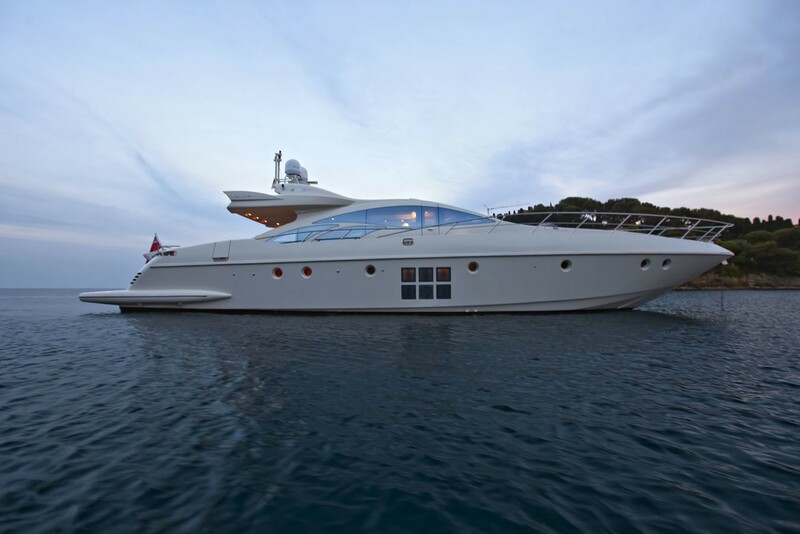 Measuring 26.2m (85.11ft), yacht NAMI sports sleek eye catching lines and offers accommodation for up to 8 charter guests in 4 cabins. 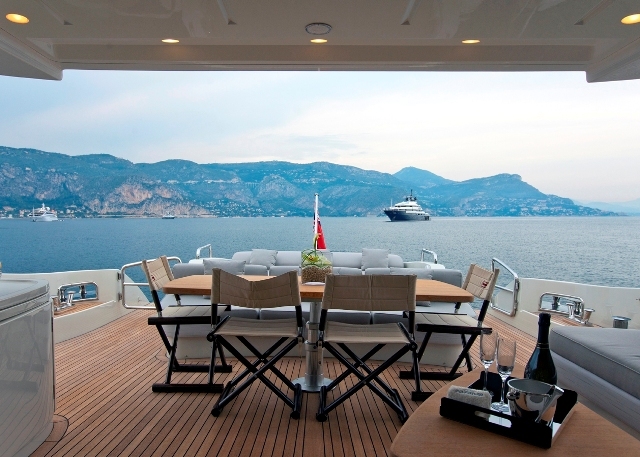 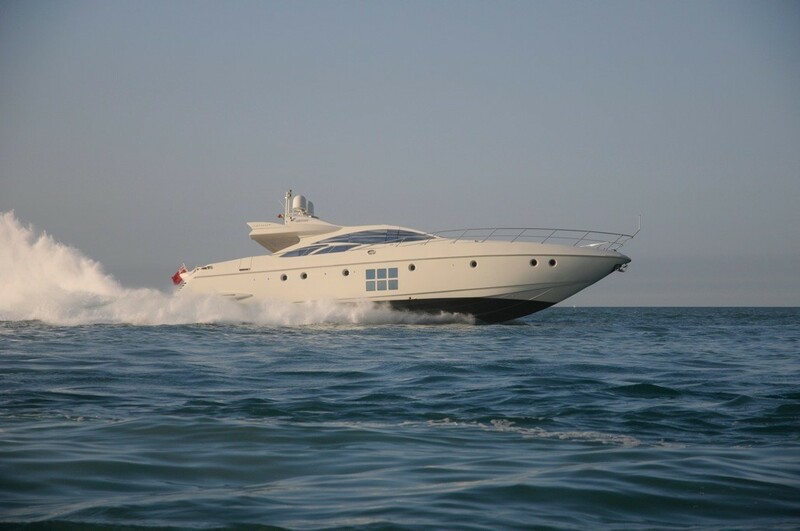 The yacht is available for crewed yacht charters in the West Mediterranean, with her home base being Monaco. 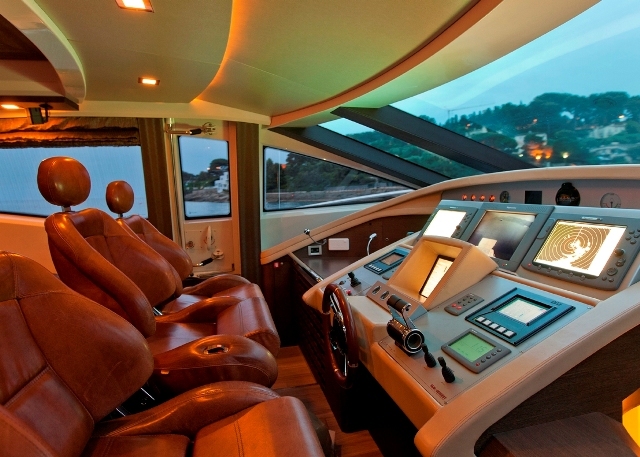 Luxury motor yacht NAMI underwent an extensive refit in 2011, receiving state of the art new AV systems and a deluxe interior makeover. 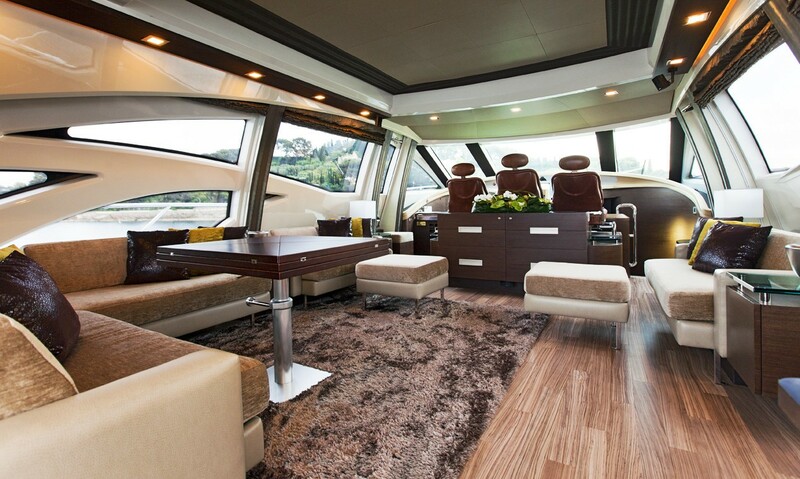 The salon and dining is open plan on the main deck, featuring fine leather soft furnishings, luscious wood floors and many great amenities. 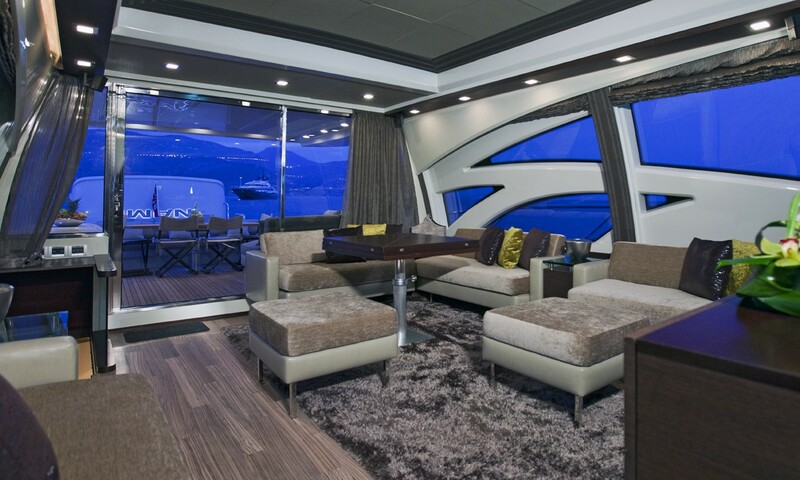 Elongated windows infuse the space with ample natural light, while providing scenic views. 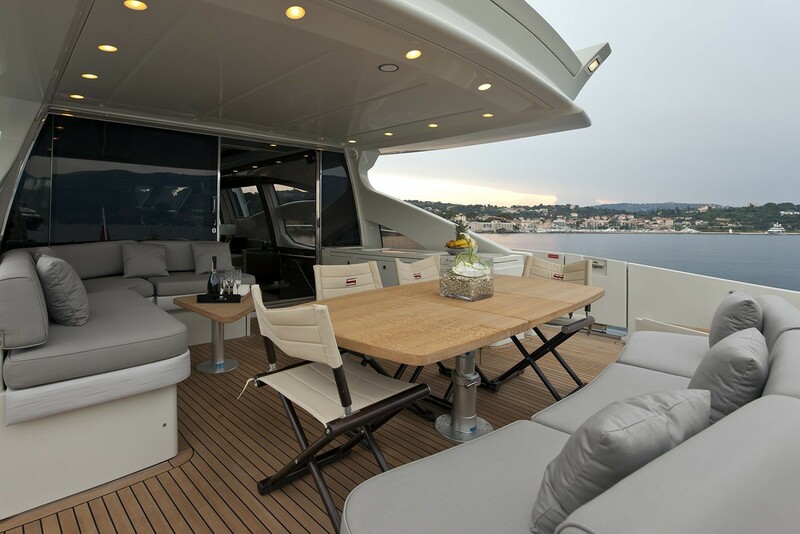 Guest accommodation on the NAMI motor yacht is below decks in a master, a VIP and 2 guest cabins, all with private en-suite facilities. 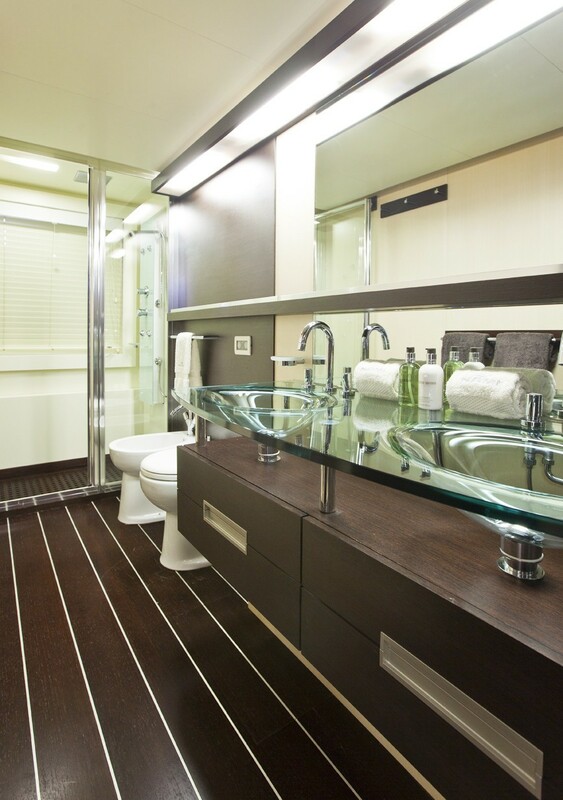 The professional crew of 3 has separate quarters and private facilities. 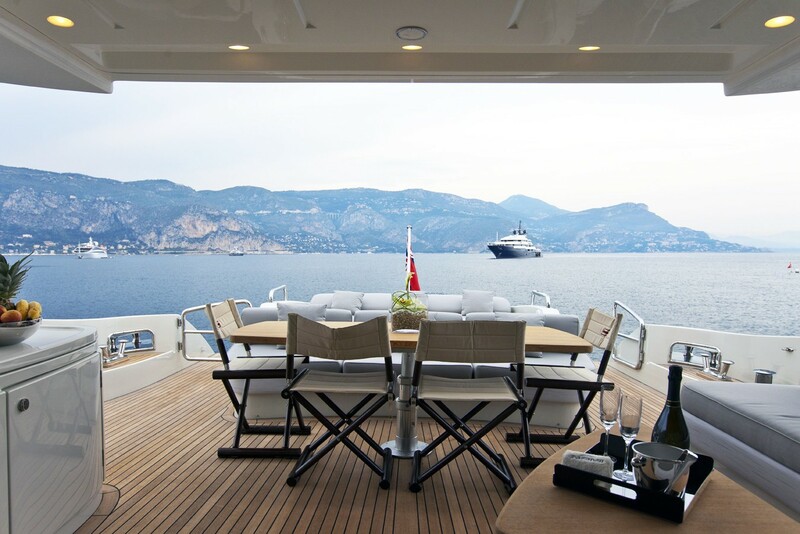 Exterior living is ample aboard the charter yacht NAMI. 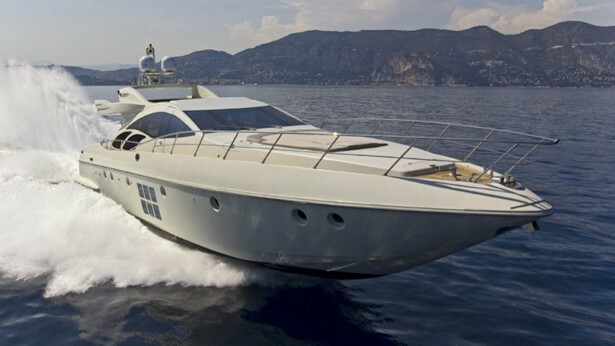 The salon leads out onto the generous aft deck with partial shade, seating, an alfresco dining option and double sunpad. 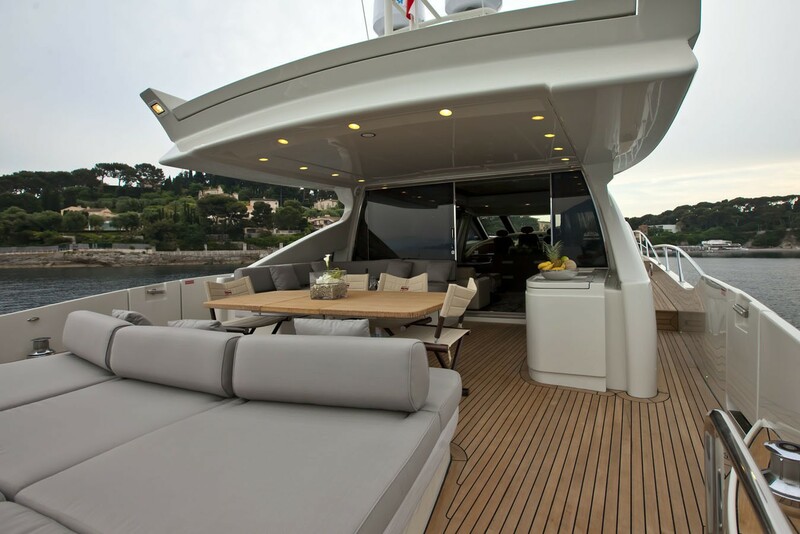 Further aft the extended swim platform allows guests to make effortless use of the many water toys on offer. 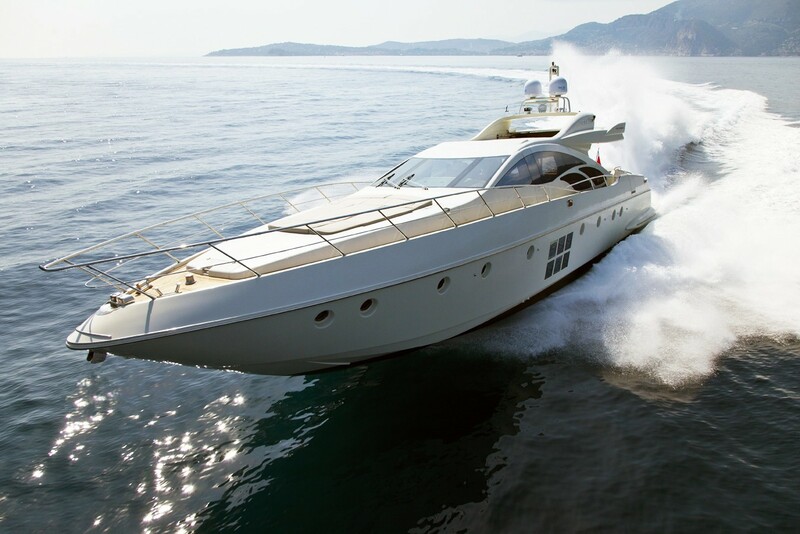 An expansive foredeck features an additional large sunpad, perfect for a relaxing day of soaking up the warm Mediterranean sun, or enjoying a thrilling ride, making onlooker envious. 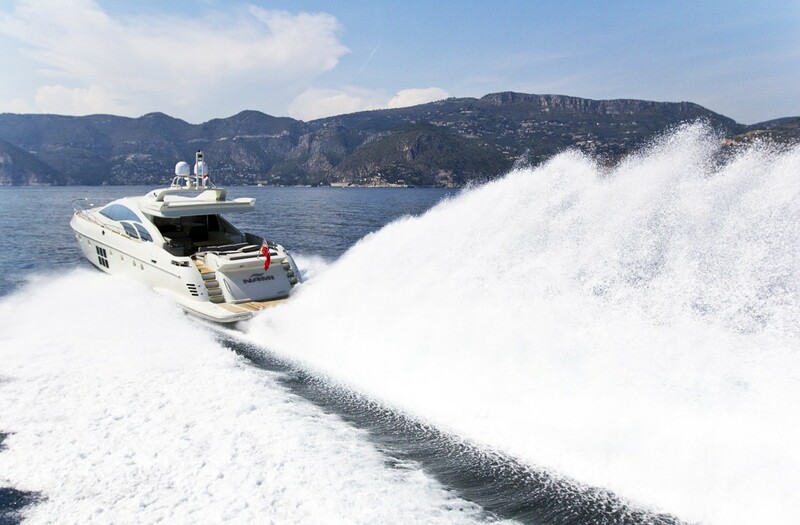 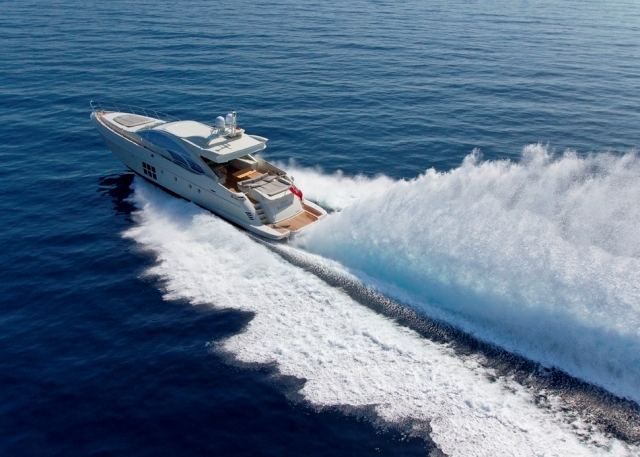 M/Y NAMI is powered by 2 MTU 2000hp engines, she has a planing hull design, boasting exhilarating speeds of 35 – 43 knots. 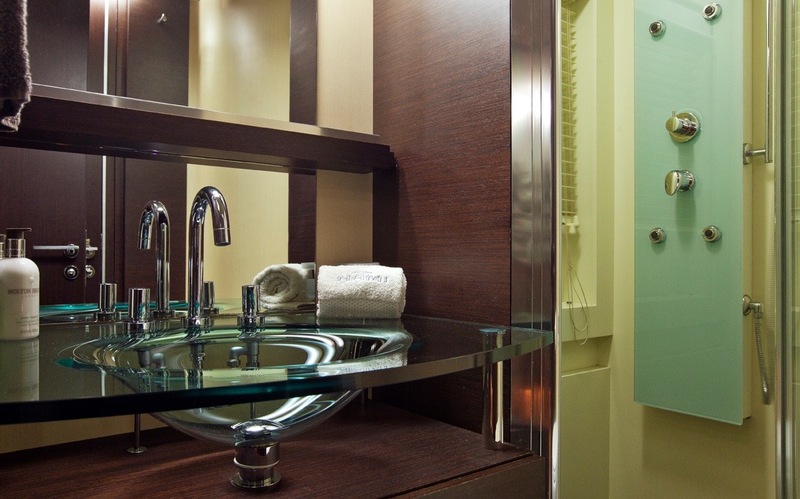 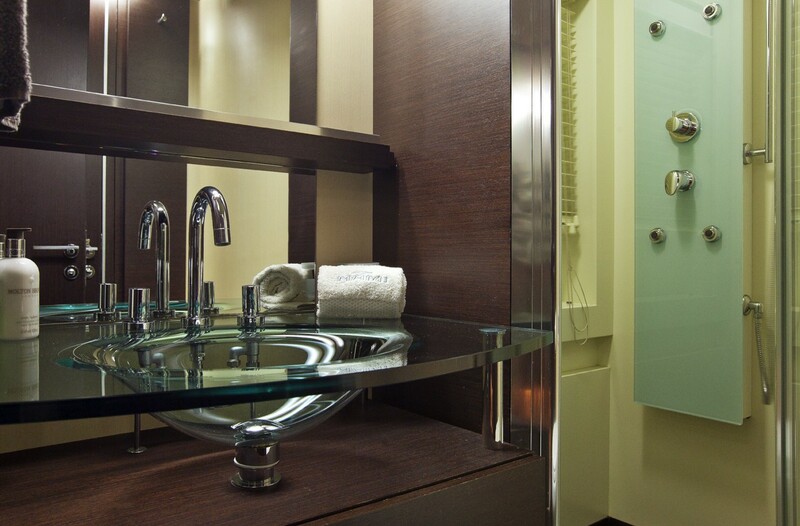 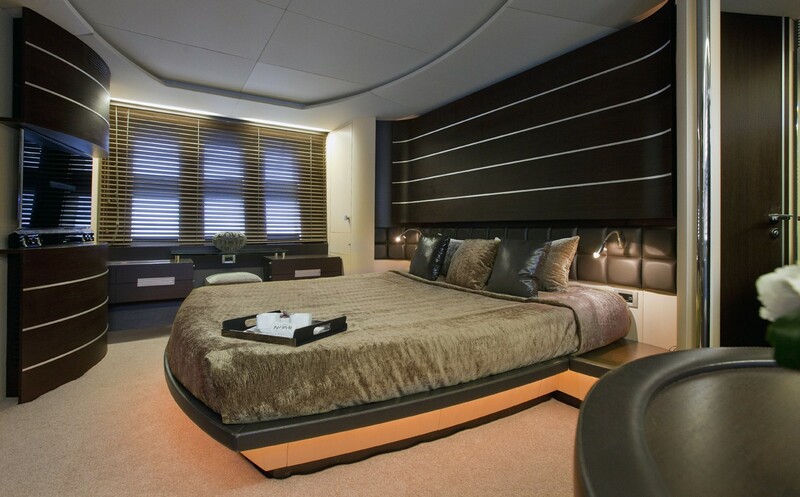 Luxury charter yacht NAMI offers stylish and elegant accommodation in her 4 en-suite guest cabins. 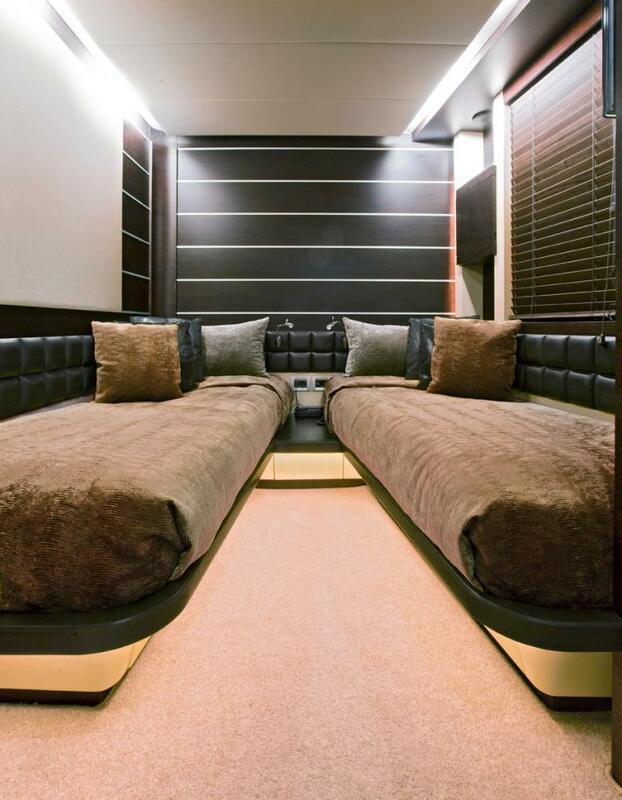 The master suite is amidships and full beam of the yacht, with large vertical side windows on port and starboard, a center lined queen size bed, vanity, loveseat and en-suite facilities with his and hers clear glass sinks. 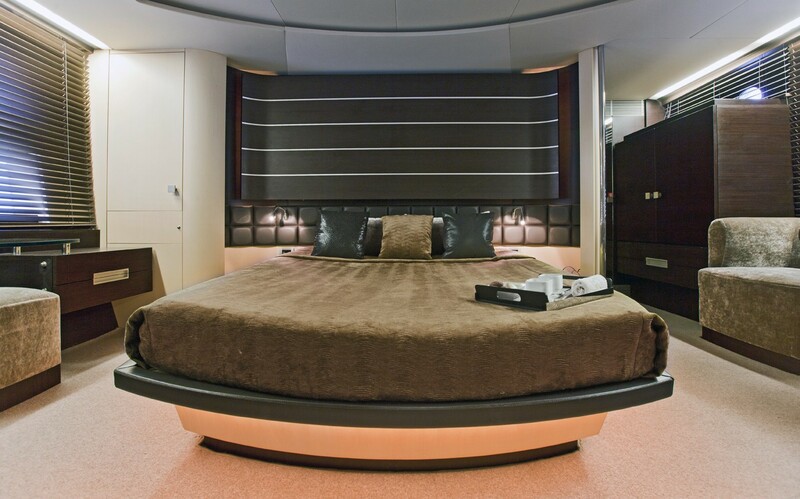 The VIP cabin is forward and full beam of the yacht with a center lined double bed. A further 2 cabins offer side by side twin beds. 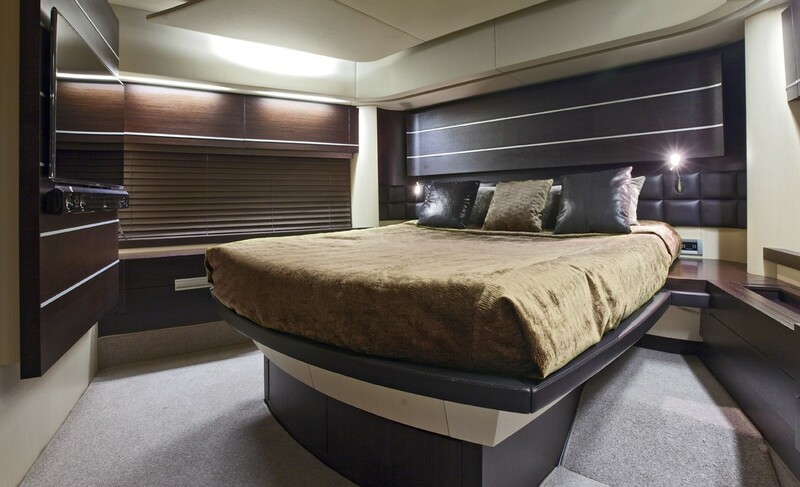 Each cabin is well appointed and spacious with a modern tasteful décor. 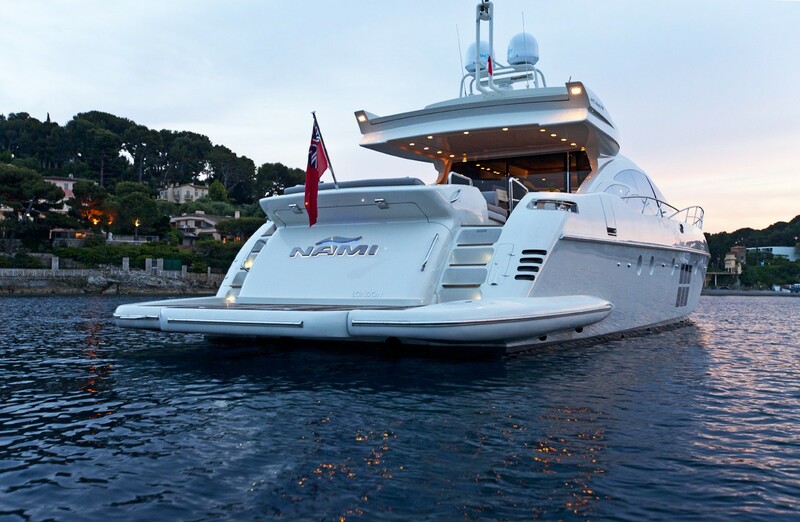 The NAMI yacht has the following Tenders & Toys: Tenders: Brand new 2011 Williams 325 Turbojet tender with 4-stroke 98 hp engine, Kawasaki STX 15-F 2011 Jet Ski, Water skis, Wakeboard, Donut. 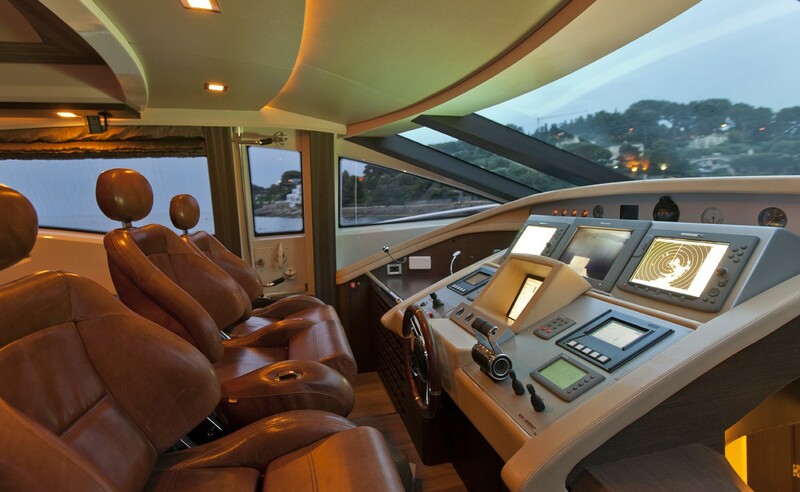 Audio Visual Equipment and Deck Facilities include A/V & Communications in cabins: iPad2 controller, Sony PS3 for gaming and Blue Ray movies, Apple TV with free access to France & UK accounts, SKY HD, FullHD 1080p TV, Spotify music library, Skype, intercom phone system, private email (each cabin), private WLAN network 802.11n (each cabin), free internet access where available (France, 3G/3G+ data, Orange HotSpots). 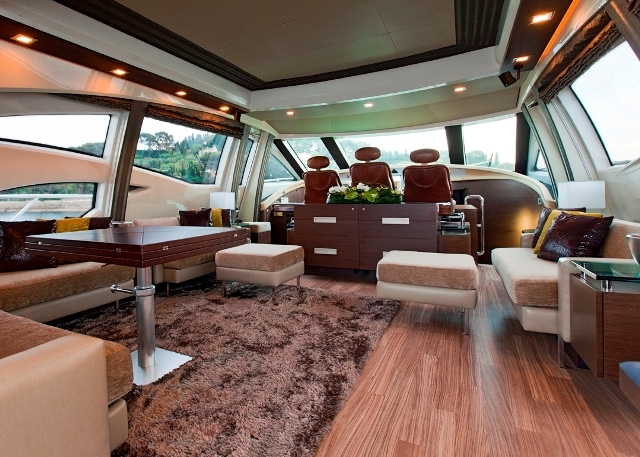 Additionally, salon features: 55” LG NetCast Internet- 3D TV, Bose 5- speaker Home cinema system, Cockpit has Bose system with 4 outdoor speakers. 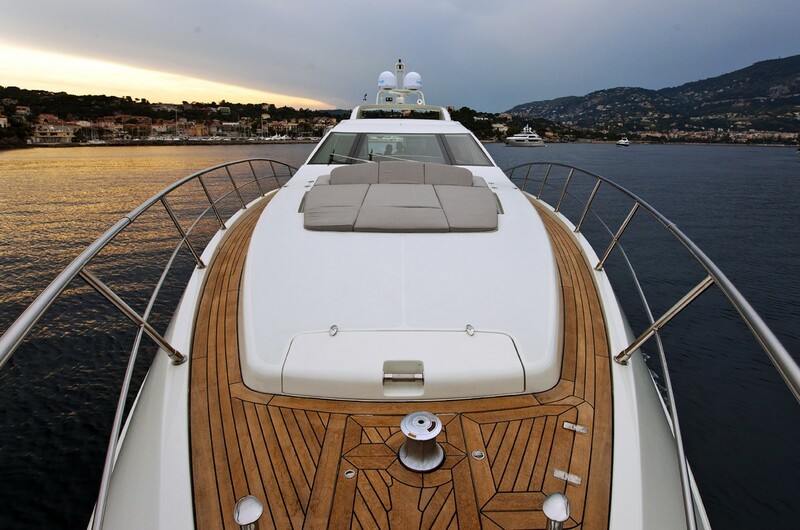 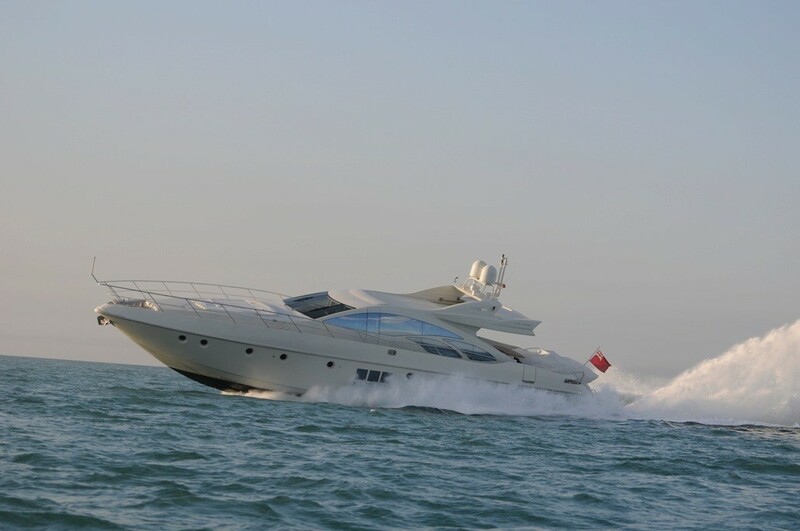 The yacht has been fitted with latest 3G/3G+ router and Wi-Fi router with external marine antenna and booster to gain maximal network coverage. 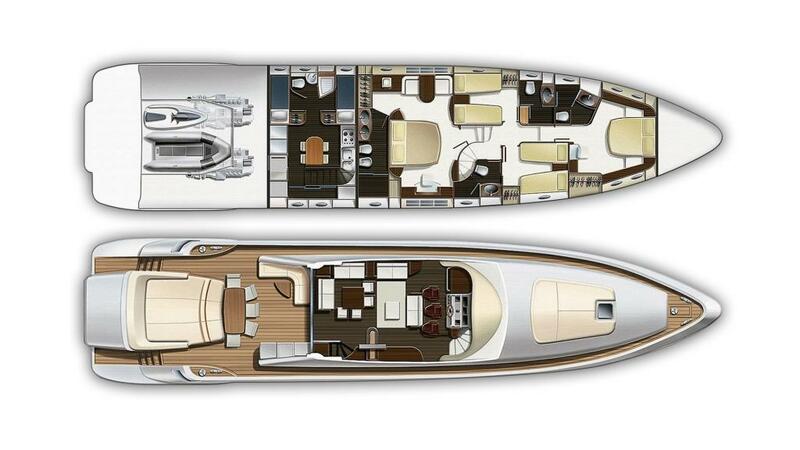 Also, satellite system has been upgraded to Full HD compatible.